It began in Ireland in the mid 1700s. The water in Ireland, indeed throughout Europe, was famously undrinkable, and the gin and whiskey that took its place devastated civil society. 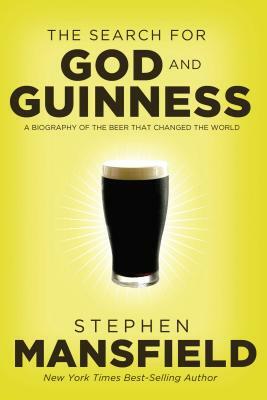 It was a disease ridden, starvation-plagued, alcoholic age, and Christians like Arthur Guinness--as well as monks and even evangelical churches--brewed beer that provided a healthier alternative to the poisonous waters and liquors of the times. This is where the Guinness tale began. Now, 250 years and over 150 countries later, Guinness is a global brand, one of the most consumed beverages in the world. The tale that unfolds during those two and a half centuries has power to thrill audiences today: the generational drama, business adventure, industrial and social reforms, deep-felt faith, and the noble beer itself. Stephen Mansfield is the New York Times best-selling author of Lincoln's Battle with God, The Faith of Barack Obama, and Benedict XVI, Searching for God and Guinness, and Never Give In: The Extraordinary Character of Winston Churchill. Stephen lives in Nashville, Tennessee, with his wife, Beverly. For more information, log onto www.StephenMansfield.tv.